Blessed with a bounty of fresh produce, New Zealands cuisine is all about local, seasonal ingredients, but its influences come from both near and far  Europe, Asia and Polynesia. The country has a wealth of world-class restaurants serving exquisite food in a characteristically relaxed, unaffected style. Here we highlight a few of them. 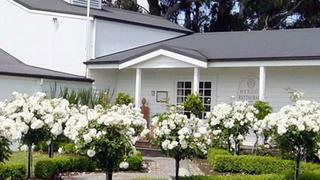 The 1920s, colonial-era retreat is a hotel considered to deliver the most luxurious of iconic New Zealand hospitality. Sitting on the riverside, overlooking serene water that gives way to the famous Huka Falls, the lodge is an oasis of comfort. Designed for guests to mingle in the evening, outside diners are more than welcome in the main lodge or any of the 20 private dining locations. Executive chef Michel Louws was formally trained in The Netherlands, where he worked for many years until gaining a Michelin star at t-Veerhuis, and at the same time being named one of the top 10 most promising chefs of 2007. 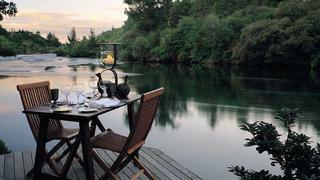 Now at Huka Lodge, Michel prepares the best Kiwi and French cuisine, complimented by a dedicated service team. Specialities include freshwater lobster butter-poached with lemon-infused gnocchi and watercress, and chocolate cake with espresso ice cream. 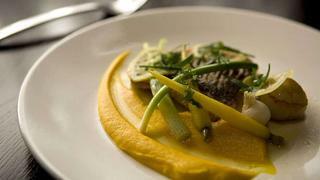 Since 2006, Clooney has rocketed to prominence on Aucklands fine dining scene. Converted from a derelict warehouse, the elegant ambiance reflects its industrial beginnings. Partners chef Desmond Harris and restaurateur Tony Stewart aim to blend sumptuous cuisine with subtle lighting and creative décor to create a unique overall experience for the diner. Particular attention is given to the wine list, carefully selected by sommelier Natasha Parkinson. The food is award winning and innovative, with elaborate presentation. Harris blends a traditional approach to fine cuisine with modern ingredients and execution. 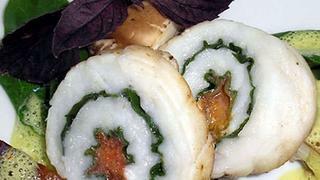 The menu comprises mainly classic dishes served with unusual or exotic sides. For example, the Angus pure beef comes recommended, served with a truffle and onion flan, celeriac mousselline and morel red wine sauce. A similarly exciting dessert menu surpasses the norm for such restaurants, perhaps because a dedicated pastry chef, Victoria Palmer, invents and oversees all of the dishes herself. Euros style of cuisine is eclectic, with an array of dishes and flavours from all over the world, from tuna tataki prepared in the Japanese style to authentic Neapolitan style pizzas made on the spot. Renowned chef and joint owner Simon Gault travels around the world sourcing ingredients and spotting culinary trends. 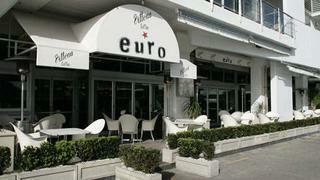 Interesting, seasonal menus are an important part of Euros ethos. To enjoy the vibrancy and artistic feel of Wellingtons bohemian Cuba Street, eat at this converted 1920s bank building. The dining room is a high-ceilinged, octagonal affair, creatively divided into spaces more palatable for eating. Logan Brown has a commitment to environmental issues, and carefully selects fish from sustainable fishing methods as well as vegetables farmed on eco-friendly farms. The quality despite  or maybe because of  its self-set limitations, is not compromised. There are various menus, catering for anything from a quick bite before the theatre to a junior foodies menu with simple dishes for children under eight years old. This being New Zealand, there is even a pre-rugby set menu, allowing you to leave before the big match. Dishes range from seared hare loin to line-caught New Zealand snapper, with no shortage of choice. The wine list is likewise extensive and varied, giving guests the choice of vintages from all around the world at a high quality. 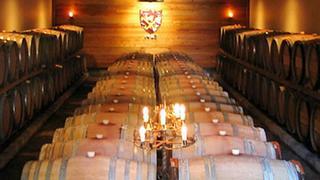 This family-owned winery and restaurant has acquired an impressive reputation well beyond its Marlborough location. Situated only 20 minutes drive from Picton port, the 11 hectare vineyards setting is nothing short of picturesque. Owners Hans and Therese Herzog established the estate in the mid-1990s, drawing on experience from their successful Taggenberg vineyard and restaurant in Switzerland, where the family has grown vines since 1630. An innovative winemaker, Hans Herzog has experimented with different grape varietals, growing not only Sauvignon Blanc, Pinot Noir and Chardonnay, but more obscure grapes such as Zweigeit, an Austrian red, and Tempranillo, the main grape used in Rioja. The restaurant and bistro that he subsequently established are now famous, as well as the cellar door wine-tasting facility. 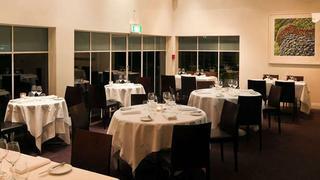 Herzogs team of chefs deliver a high quality of food that not only complements, but even rivals the famous wine list. The legendary degustation menu comes recommended, with each dish paired with a specially selected variety and vintage of wine. Dishes are inspired by cuisine from all over the world, including Herzogs native Switzerland  moist serviettenknödel (bread dumplings) are served with venison rack in one dish, while Italian-style pumpkin ravioli comes with oyster mushrooms and chervil foam in another. An established favourite in Auckland, The French Café has been given a new lease of life under owners Simon Wright and Creghan Molloy Wright. London-born Simon Wright is an award-winning chef who has been at the forefront of New Zealand dining since his arrival in the early 1990s, having trained under chefs such as Marco Pierre White. Together with his wife Creghan Molloy Wright, who is an experienced restaurateur in her own right, he has created something special. 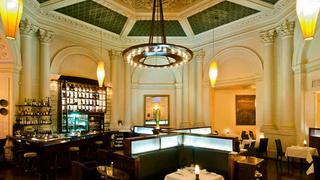 The French Café is renowned for its understated elegance and sophistication. This husband-wife balance is projected perfectly into the restaurants ambiance and quality, and its modern European cuisine has garnered praise and awards from all corners, with specialities such as Wrights signature crispy roast duckling. Meanwhile Creghans warm, professional style and the high standard of service are consistently mentioned by guests and reviewers. To sample food that has been dubbed perfect by one reviewer, try the 10-course chefs tasting menu, with dishes from pheasant tortellini to feijoa (a New Zealand speciality fruit related to the guava) sorbet. 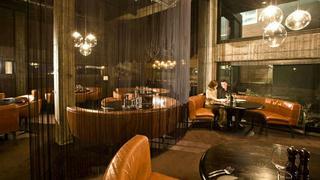 Sit in a conservatory room overlooking the courtyard, or on tables outside, weather permitting.